Apple is relentless toward its overseas labor force and remarkably innovative in its approach to tax avoidance. At the press conference for the New York Film Festival’s screening of Steve Jobs, the film’s screenwriter, Aaron Sorkin, and Jobs’s biographer, Walter Isaacson, were repeatedly asked to address themselves to the film’s central question: “Had he been a bit nicer, could Jobs have put a dent in the universe the way that he did?” They were both pleased to see the issue raised, as it’s a big question (and one that might also be asked regarding, say, Pablo Picasso, Ted Williams, or Miles Davis, the subject of the NYFF’s closing-night film). You will be hearing a great deal about it as this extraordinary film opens nationwide and scoops up countless award nominations. But to focus on Jobs’s mercurial personality is also to obscure a far more important point about the global force he helped to unleash. To focus on Jobs's personality is to obscure a far more important point about the global force he helped to unleash. Apple may be the most successful corporation of all time. It recently reported a quarterly profit of $18 billion, the largest in history. Its record for technological innovation is unchallenged. It is the most admired brand in the world, according to the 2015 Interbrand Best Global Brands report. And its recent market-capital valuation at $765 billion (before dropping a bit) is the highest ever for any US company. Certainly, Jobs’s vision and Apple engineers’ execution made this possible. But two other factors have contributed mightily to Apple’s success: the unconscionable exploitation of the people who manufacture its products, and the company’s refusal to contribute even a fraction of its fair share in taxes. We have known for years about the inhumane conditions under which Apple’s subcontractors in China and elsewhere are forced to work. Human-rights and labor-rights groups have addressed them, to be sure, but the issue didn’t gain traction in the mainstream media until 2011, when the performance artist Mike Daisey brought them to light in an amazing one-man show at the Public Theater in New York. Daisey­ was later proved to have played fast and loose with his facts, but The New York Times followed up in January 2012 with a multi-part investigation that demonstrated the larger truth of his charges. Apple was forced to respond and made a series of promises to improve. But many of these promises have been repeatedly broken or simply ignored. 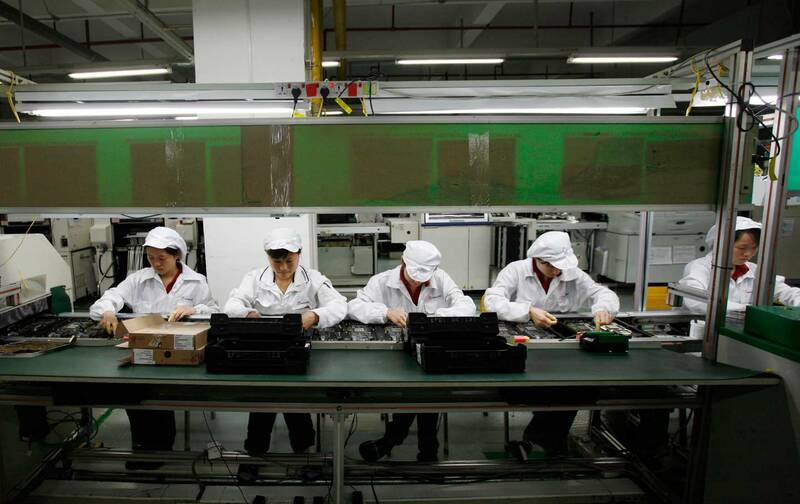 In December 2014, the BBC documentary series Panorama secretly filmed inside a number of Chinese facilities where employees of Pegatron and Foxconn were assembling the newest iPhones. As the documentary noted: “The team found Apple’s promises to protect workers were routinely broken. It found standards on workers’ hours, ID cards, dormitories, work meetings and juvenile workers were being breached.” The filmmakers also found tin from illegal digs in Indonesia in the phones, as well as children working in dangerous open-cast mines. Sadly, these conditions are hardly unique in the Apple supply chain. As the political economist Isaac Shapiro explained on the Economic Policy Institute website, Apple’s 2014 report acknowledged a compliance rate regarding its own standards of only 70 percent—down from 77 a year earlier. Its enforcement of the hours these workers put in is also down from the previous year. They are exploited this way despite the fact that Apple’s labor costs amount to a tiny fraction of its profits, especially given the fantastically generous compensation packages its top executives enjoy. Shapiro pointed out that in 2011 and 2012, the top nine members of Apple’s executive team received compensation packages equal to that of fully 90,000 Chinese factory workers. One can argue that it’s unfair to single out Apple, since it is far from the worst of the tech companies in this regard. But Apple is undoubtedly the world’s leader, its customers the most loyal. (Hollywood isn’t making movies about the founders of Samsung, after all.) The corporation could easily demand structural changes in the way its supply chains are constructed and workers are treated. But it can get away with only pretending to do so because the vast majority of its customers—to say nothing of its fanboy media following—care only about the coolness of its latest gadgets, and not a whit about the exploitation and misery experienced by the people who actually make them. Similarly, Apple is just as good at avoiding taxes as it is at making iPhones. In 2013, a Democratic Senate staff investigation found that by creating mail-slot entities all over the world and attributing its profits to them, Apple has managed to pay just 2 percent in taxes on $74 billion of income overseas. According to Citizens for Tax Justice, 18 of America’s largest corporations, led by Apple, deployed these tactics to avoid paying $92 billion in US taxes last year. And if that isn’t bad enough, Apple—which has $181.1 billion socked away in offshore accounts—is among the group of multinationals lobbying Congress to grant them a second repatriation tax holiday so they can bring an estimated $1.7 trillion home at the significantly reduced rate of 6.5 percent. The last tax holiday, passed in 2004, led to a cut of more than 20,000 US jobs and lowered R&D spending—directly contrary to the arguments made on its behalf, the Senate report found. If only someone would make a movie about that.